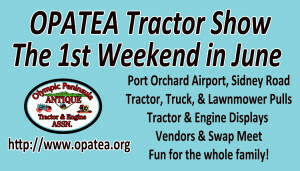 The 2019 Olympic Peninsula Antique Tractor and Engine Association’s annual show will be held Saturday and Sunday June 1st & 2nd at the Port Orchard Airport – 12300 Sidney Rd. There will be tractor, truck, and lawnmower pulls, tractor and engine displays, tractor parade, swap meet, chain saw carving, food and craft vendors. 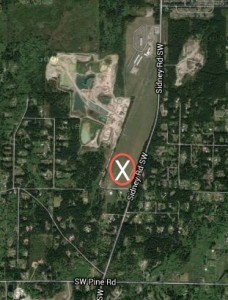 Admission is $2.00 each or $5.00 for the whole family with free parking.